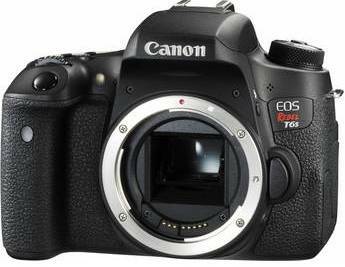 The mid-range DSLR offer you a very wide range and better image quality compared to entry-level DSLRs, The price range if Mid-Range DSLRs is approx $1,000 or less for the body only. Main features that separated mid-range from entry-level DSLRs are better sensors, broad ISO range and better low-light performance, Advance AF system, a fast burst rate, short shutter lag, better metering mode, Enhanced Build Quality, Durability, and Usability. The camera that’s been packed 24.2-megapixel CMOS sensor inside and the DIGIC 6 image processor and the combination of both will produce highly sharp and standard images. You’ll be welcomed to freeze the target subjects in the lowlight circumstances with iso upto 25,600. Fast and faultless images can be possible by 19-point all cross-type AF system. A 3.0″ Clear View II Vari-angle Touchscreen LCD monitor with 1,040 k-dot resolutions is well viewing even in bright light and from any toughest angle. Full HD Movie of 1080p at 60fps is quite awesome and fulltime AF is possible while recording the videos, thanks to the HYBRID AF system of the camera. The built in WiFi along with NFC can make your image and videos sharing enormous ease. Canon 760D is #1 in our list due to its advance core specification + HYBRID AF Sensor inside it and Canon EF-S and EF-S Lens support, the camera features newly developed sensor that will ensure you get max image quality and advance AF HYBRID system will give you full time high speed AF support while you are shooting still or capturing videos. The camera will be too faithful towards the capturing more details of the focused subjects and will not be disobedient towards providing sharper and magnified images. Although, D5500 bears the features 24.2 megapixel sensor and an EXPEED 4 image processor that not allow you to complain about the level of the images. The ISO range of the camera goes upto 25600 promises you to still the desired subjects in struggling conditions of lowlight and the continuous shooting speed of 5fps will work to capture maximum part of the subject’s actions without an issue. A 39-point autofocus system with nine cross-type sensors and a 2,016-pixel RGB sensor is also inside the pack to get the continued and accurate focus. A 3.2″ 1030k-dot vari-angle touchscreen LCD monitor features a 180° swivel design that permits you to shoot from almost every angles. Full HD 1920 x 1080p movie recording is supported in 60, 30, 25, and 24 fps frame rates, as well as HD 720p and SD 480p in multiple frame rates, in the MPEG-4 AVC/H.264 format. A easy sharing of images and videos is not impossible due to the built in wifi. 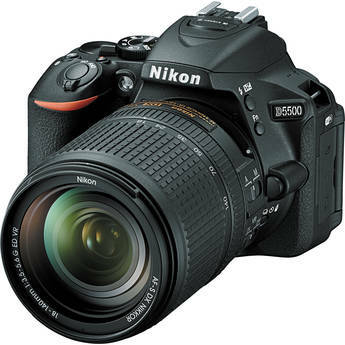 Nikon D5500 #2 the camera features high-end cores specification but it’s second in our list due to Non Hybrid CMOS sensor inside it, so the Phase AF system will work only when you are using the Viewfinder and while you are using display or shooting video only contrast based system is active. The camera that has everything that you need and can lift your spirit that you’ve kept inside towards photography to the next level. the newly announced A77 II features newly developed 24.3MP APS-C Exmor CMOS Sensor with SteadyShot INSIDE sensor-shift type image stabilization, newly developed Phase Detection: 79, 15 cross-type, latest BIONZ X Image used and newly developed image decoding algorithm. The A77 II also supports Full HD 1080i/p video recording at 60 and 24 fps frame rates, on the rear side we have 3.0″ 1,228k-Dot 3-Way Tilting LCD Screen and 0.5″ 2,359k-Dot XGA OLED Tru-Finder, the A77 II also features built in WiFi and NFC, with the help of NFC you can control the camera with your smartphone or tablet. The SLT-A77 II will be available in June and is priced at $1199 body only and $1799 with an 16-50mm F2.8 lens. The Sony A77 II is a excellent camera if you are a sports shooter, the camera features blazing fast AF speed and 12fps of continuous shooting mode, but there some limitation that’s we have added below Nikon D5500, the camera high ISO images are not so usable since the fixed SLT Tech grabs approx 10 to 20% of light falling on the sensor , Lenses are also in bit limited quantity. 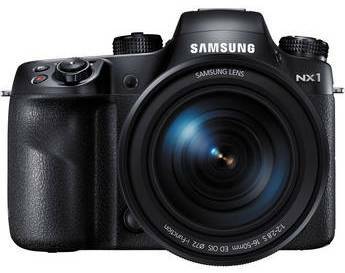 The Samsung NX1 is a wonderful racer in the world of mirrorless that featured 28.2MP BSI APS-C CMOS sensor to provide highly resolution images. The ISO range that jumps upto 51200 that is giving you that guarantee to be a best shooter in low light situations and the extra ordinary 15fps will be very loyal in capturing the actions of the subjects. 4K recording at 24 fps, UHD Recording at 30 fps and 1080p Full HD Recording at up to 60 fps. A tiltable 3.0″ HD 1036k-dot touchscreen monitor provided for subject framing, menu selection, and image review. The Advanced Hybrid Autofocus system utilizes 205 phase and 209 contrast-detection autofocus points to attain focus quickly and exactly. A built in wifi for easily transferring of the images and videos.